While Building Recurring Monthly Revenue. We’ve got some exciting new features to share with you! This past week we launched 2 new features! 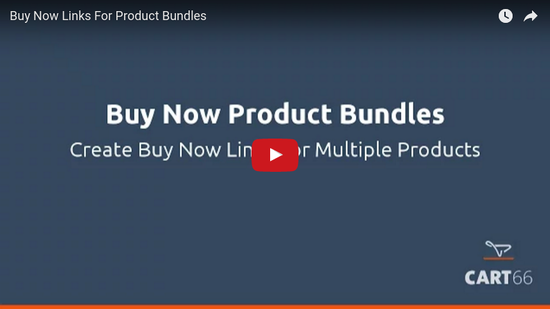 Another new feature is Buy Now links for selling product bundles. If you sell a group of related products, you can create a single link which, when clicked, will add all of the products to the cart and place your customer directly on the checkout page ready to pay for the order. Watch this 2:48 quick demonstration of how it works. There is a very robust tax system in Cart66 where you can manage tax rates by regions right down to individual zip codes. Cart66 also integrates with taxamo to handle international VAT tax for digital product sales. The problem was that once you set up tax rates, then tax was calculated for all orders. Sometimes, however, you sell both taxable products – like t-shirts – and non-taxable products – like services, event registrations, or donations. Now, you can flag products as tax free! 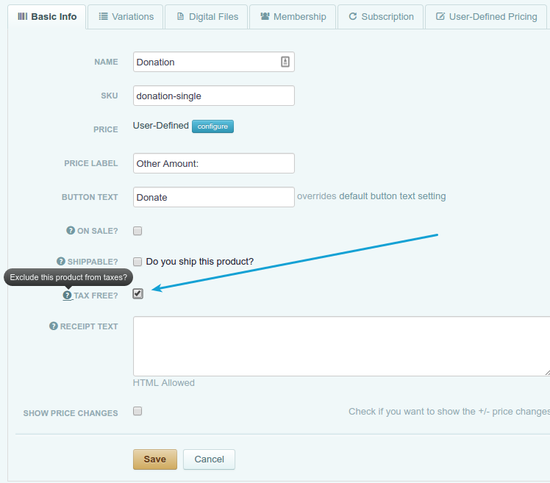 It’s as simple as clicking a checkbox when setting up your product. Check out the Video Tutorials here. There is a vulnerability in Plupload, the library used for uploading files in WordPress. This is a security release for all previous versions and we strongly encourage you to update your sites immediately. Joining communities, using services to help share your content, and cool theme recommendations all await you in this article. We are so sorry to learn of the passing of Matt’s father. It is clear from Matt’s post that his dad was a huge influence in his life, a great dad, and a cool person. I personally met Matt a few weeks ago and, after reading this post, I can see where Matt get’s his coolness from. My prayers are with Matt and his family. No fluff, just the stuff you need to know to get your online store up and running - avoid the snags. 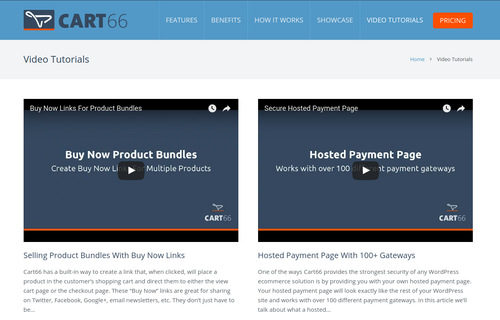 Get emails about new Cart66 features and news about WordPress ecommerce.